Joseph Sirola, a character blessed with a voice that attracted much voice over work, has died at 89, according to The Hollywood Reporter. Sirola “died of complications from respiratory failure Sunday at a rehabilitation hospital in New York City,” according to the entertainment news website and trade publication. The actor played villains in second-, third- and fourth-season episodes of The Man From U.N.C.L.E. He also portrayed U.S. spymaster Jonathan Kaye in five episodes of the original Hawaii Five-O series. 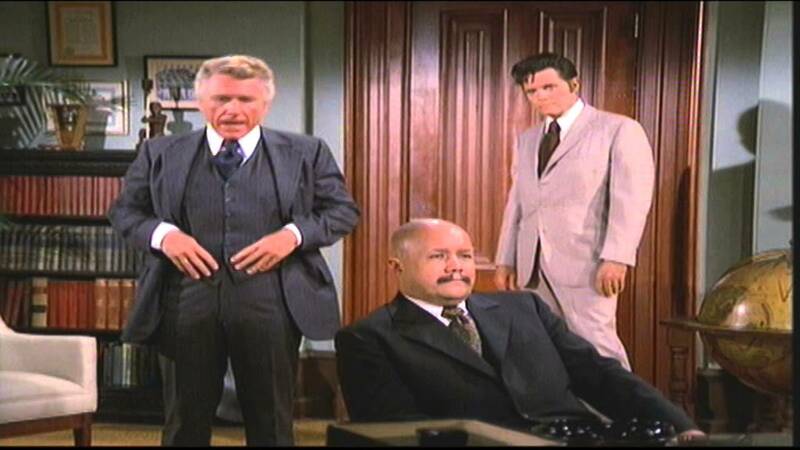 In his final appearance as Kaye, in The Jinn Who Clears the Way, his character springs a major surprise on Jack Lord’s Steve McGarrett. The Big Kahuna has captured arch villain Wo Fat. But Kaye makes the lawman let the villain go because there’s to be a prisoner exchange between the U.S. and China. Sirola was known the “King of the Voice-Overs,” THR said, citing a 1970 Wall Street Journal about his frequent work on commercials., Sirola also won a Tony in 2014 for producing the musical , THR said.